Did you know that there are about 1.7 billion active websites in the world? If you want to improve your website, there are a lot of web development tools at your disposal. 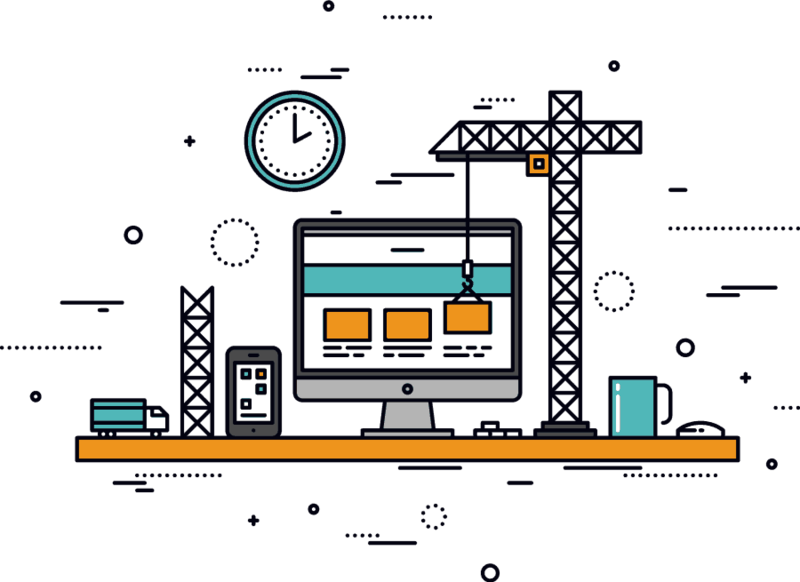 You can use these tools to ensure your website looks modern and attractive. It’s especially important when you stay in touch with current web development trends. Are you ready to learn the latest web development trends this year? Read on and find out more today. In recent times, artificial intelligence (AI) gained a lot of support in the web and IT industry. A lot of web designers deploy AI to do the laborious parts of the development. They only let the human developers do the fine-tuning and revisions to fit the website’s specific set of needs. With AI, web development became much easier, more efficient, and cost-effective. But this year, AI will most likely step up higher in their role. The main reason is the fact that both administrators and developers will use technology for ROI and conversion boosts. Most retail websites will start using chatbots more for improved customer service. The chatbots will use machine learning to achieve efficiency as shopping assistants. They can replace humans since the chatbot can scan through the list of available products faster. With the list in hand, the chatbot will make more accurate recommendations. They will base it from the shopper’s size, type, price, and preferences. With this, voice searches will become even bigger due to the growth of machine learning. AMPs made websites more friendly to mobile users due to its ability to reduce page load time to less than a second. It’s a great addition to any website looking to compete for the top spot in the Google search engine results page. After all, Google sponsors the AMP open-source project for more than three years up to date. With AMP’s widespread success, it isn’t that hard to imagine for it to grow more this year. Mobile users take up about 60% of the entire user base of the internet. That makes it one of the more priceless additions to your arsenal. Using this discovery, you can guarantee that tools for improving the online user experience for mobile will gain more popularity. Both web developers and admins will prioritize getting this product for their website. After all, AMPs might give them the competitive edge to get noticeable online. Web developers made it a goal to make websites working on desktop browsers to have the same performance on their mobile counterparts. Among these, AMP is one of the best tools that bridged this disconnect in an efficient manner. But with smartphones becoming the most popular tools for internet browsing, new problems presented itself. One of these problems is that websites now need to optimize their website apps. They need to do so in a way that will imitate a mobile version. When they fail to do so, they will miss out on a great volume of traffic coming from mobile users. PWA intends to solve this problem since it fits the modern smartphone users’ needs. You can add these apps to mobile screens like all the other popular apps around. It won’t even need a lot of data to use while sending your users notifications in real time. 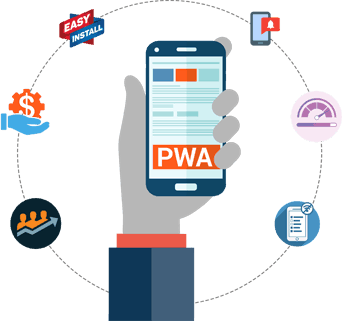 A lot of studies proved that using PWAs increase your user engagement rate by 400%. Your conversion rate doubles as well, especially when your potential customers access your content faster. If you ignore the latest in web development, you’re setting up your website for failure. Most browser extensions get developed for a specific browser’s use. For example, Chrome extensions only cater to the Google Chrome browser. That means they’ll never become compatible with other browsers like Mozilla Firefox. You might get tempted not to make certain extensions for your website universally compatible. After all, Google holds about 92% of the search engine global market. That means more people are likely to use Google Chrome over any other browser choices available. But it’s important not to get complacent and get on with the trends. It’s expected for most tech developers to code browser extensions that improve user experience by giving more compatibility. What this means is that you’ll see more Chrome web extensions becoming more compatible with Opera and other browsers around. Smart technology gains more popularity for each passing year. At this rate, tech futurists project that more than 31 billion devices will get connected. This year is the time where the IoT revolution will start gaining more substance. The increasing demand presented by this situation will affect web developers. They will start integrating the Internet of Things into their development process. This will allow them to start leveraging this technology’s power as it grows more in the coming years. If you’re a business that needs managed web hosting provider for your website, try www.cloudeast.uk. They have predictable pricing and has the experts to help you manage your website. It’s especially important if you want to meld your website and make it more accessible to IoT. It’s a sad fact that the attention span of modern internet users get shorter as time goes by. There are a lot of things you can do to help your visitors stay on your website for longer periods of time. But whatever you do, don’t make these mistakes when hiring a PHP developer. Getting the right designer is important to get into the trends. Right now, most of them use the power of visual content to attract people and make them enjoy their stay. That means they use images and videos to make your website more engaging. These techniques are basic and often the staple for most websites already. These ensure that your users’ engagement time increases. With this, you have the means of drawing their attention to the most important areas of your website. The benefit of using single-page applications is the speed it gives to your website. That means your users will have a fast and fun experience. They’re more likely to spend a lot more time on the website. Bounce rate is a big concern for developers. Those with enough understanding will know that letting people stay on a website for as long as possible is vital for any SEO campaign. That means you can’t ignore this trend in 2019 and beyond. Each day, Push Notifications become more relevant to modern society. It started as a simple means of prompting people to take certain actions. But with technological advancements, it became something more useful. Right now, push notifications remain as one of the most popular trends in web development. Most desktop-based websites ask for permission to send notifications. Those are push notifications that let your willing audience know more when to expect deals for your services and products. But to make the most out of push notifications, it’s better using it for mobile devices. You can sign up to a dedicated platform as a primary means of sending these to your audience. A better alternative is to use WordPress plugins instead if you’re using that platform for your website. Regardless of your choice, push notifications will remain strong as a trend for years to come. The main reason is the degree of convenience it gives to users. Get into Web Development Trends Today! There are a lot of other trends you need to watch out for if you want your website to stay updated. To stay relevant, you need to make sure to take advantage of these web development trends. You can use this guide as a starting point if you’re not sure what to prioritize. What’s more important is to get the help of experts if you want to get in on these trends. After all, they have the skills and knowledge to make the entire development process smoother. Don’t hesitate to ask for help if you have no technical experience. In need of more help? Why not check out our other guides to learn more. Here’s one we’ve got to help you learn how to use Google and Facebook ads at the same time.